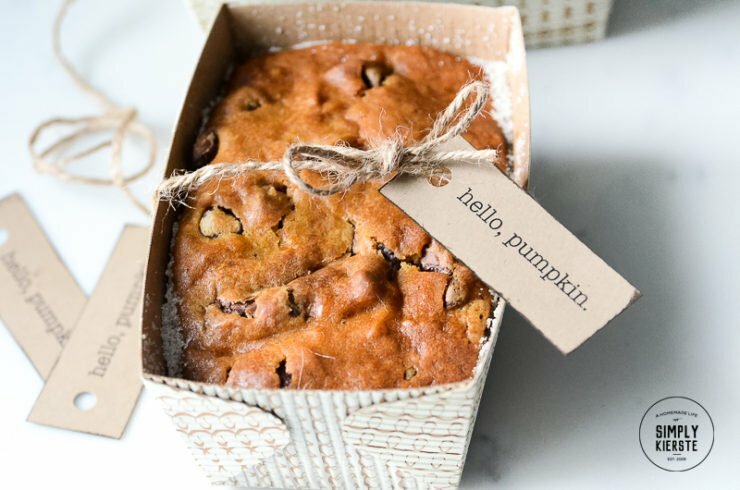 Pumpkin Chocolate Chip Bread is a perfect fall gift idea ….and I’ve got the recipe and a darling printable tag, just for you! 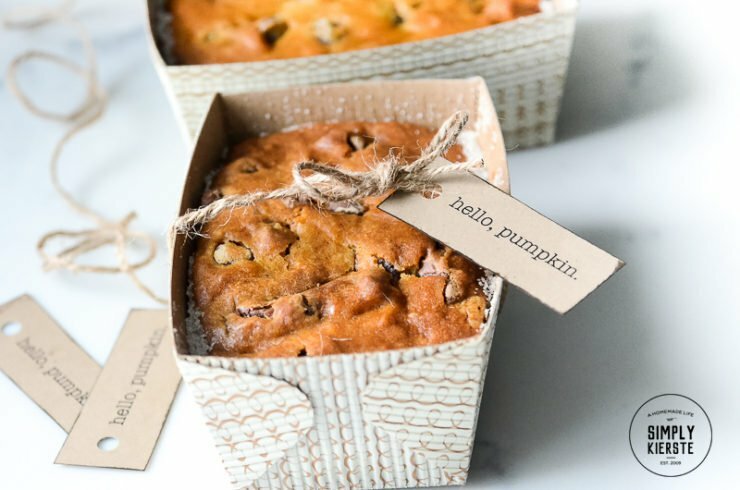 My recipe for Pumpkin Chocolate Chip Bread made four of these mini loaf pans, plus a regular loaf pan that didn’t quite get filled all the way. It just made for a shorter loaf, but I just watched it in the oven and reduced the baking time a little. After the bread was cooled, I tied on a darling tag that says “hello, pumpkin” on with twine, and they were ready to give! 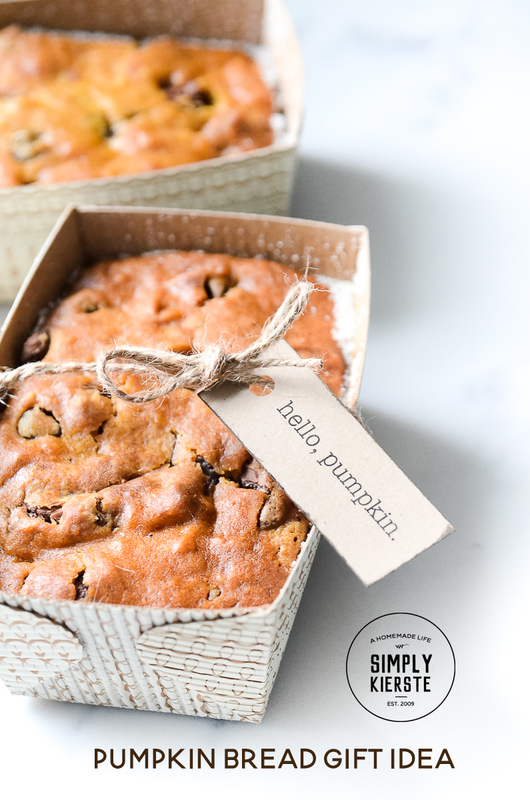 These little delicious pumpkin bundles are perfect for friends, neighbors, teachers, ladies you visit, and pretty much anyone! 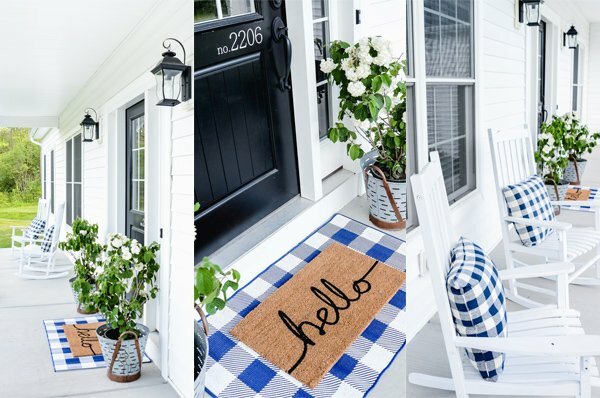 I love that they’re so easy to put together, and so homey and cozy. The best fall gift! They would make darling fall party favors, hostess gifts, and would be fun at each place at your Thanksgiving table! Print the tags on kraft card stock. Distress the edges if desired, then punch a hole in one end and tie on with jute, baker’s twine, or ribbon! 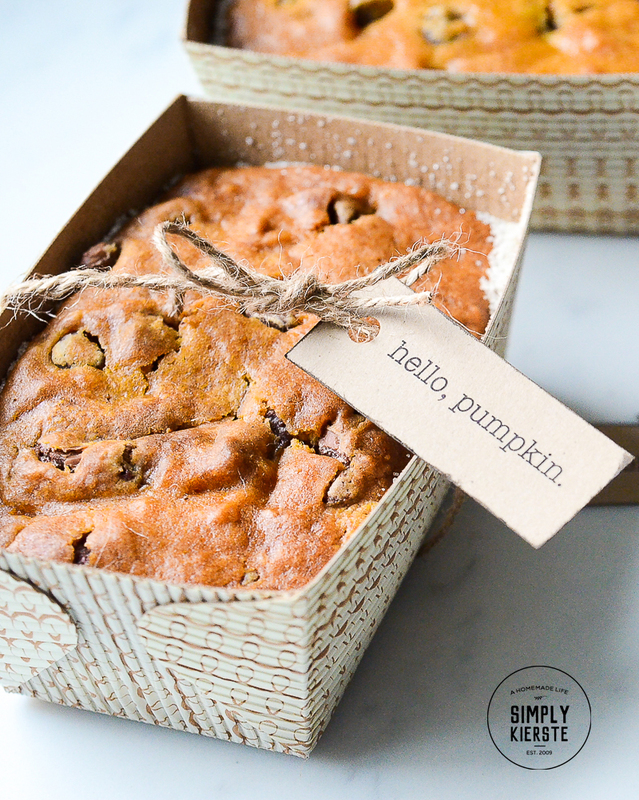 FIND THE PUMPKIN CHOCOLATE CHIP BREAD RECIPE HERE!!! Where do you get the cute little loaf pans? Do you bake directly in them?